Balao Class Submarine: Laid down, 14 September 1942, at Portsmouth Navy Yard, Portsmouth, N.H.; Launched, 20 January 1943; Commissioned USS Capelin (SS-289), 4 June 1943; Sunk on 2nd patrol, November-December 1943, in the Celebes Sea from unknown causes, all hands lost; Struck from the Naval Register, (date unknown). 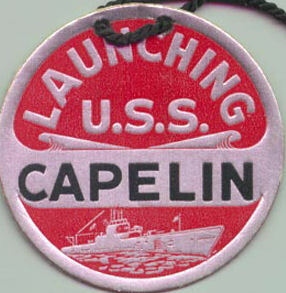 Capelin earned one battle star for her World War II service. 14k The Capelin, Mallotus villosus. Photo courtesy of stemnet.nf.ca. 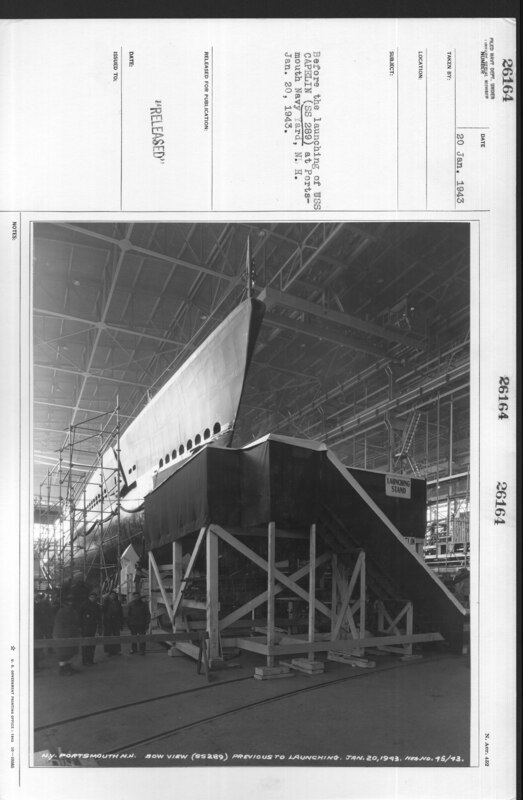 815k Stern view of the Capelin (SS-289) previous to launching, 20 January 1943. The unfinished Cisco (SS-290) lies alongside. USN photo # 80-G-26161 from NARA, College Park, Maryland, courtesy of Sean Hert. 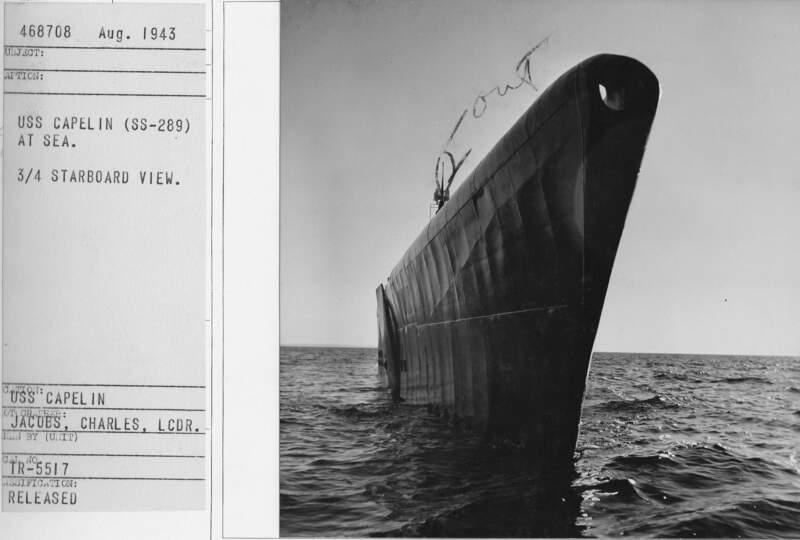 685k Bow view of the Capelin (SS-289) previous to launching, 20 January 1943. USN photo # 80-G-26164 from NARA, College Park, Maryland, courtesy of Sean Hert. 665k Commissioning the Capelin (SS-289) at Portsmouth Navy Yard, New Hampshire. 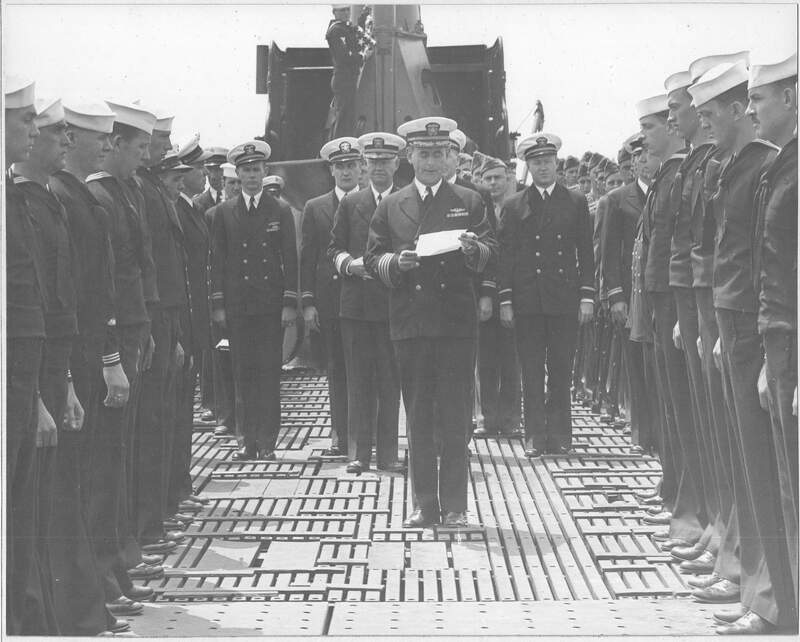 Captain C. H. Roper, U.S. Navy, reading orders of commissioning. USN photo # 80-G-71114 by Lt. Comdr. Charles Fenno Jacobs, from NARA, College Park, Maryland, courtesy of Sean Hert. 758k Commissioning the Capelin (SS-289) at Portsmouth Navy Yard, New Hampshire. 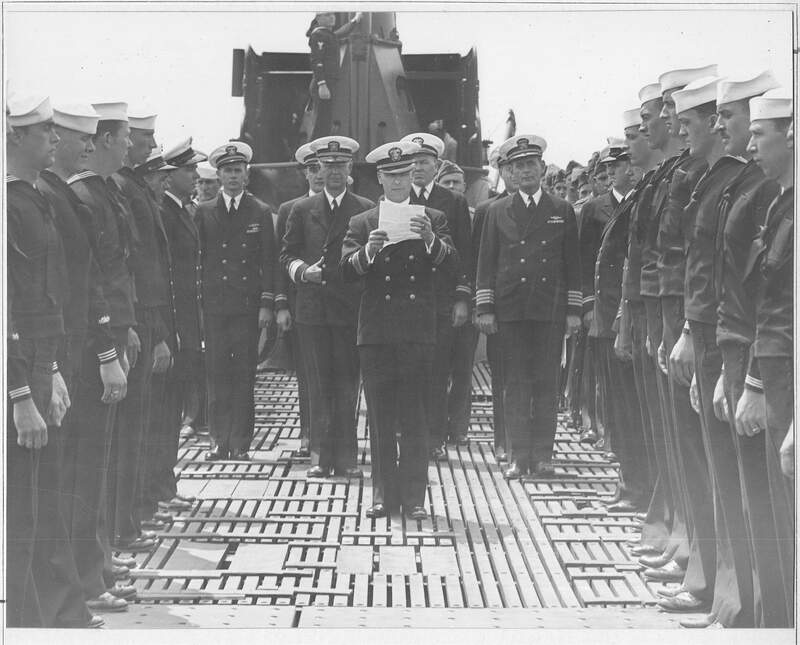 Lieutenant Commander Elliot E. Marshall, U.S. Navy, reading order of taking command. USN photo # 80-G-711156 by Lt. Comdr. Charles Fenno Jacobs, from NARA, College Park, Maryland, courtesy of Sean Hert. 448k EE Marshall from his Academy days. USN photo courtesy of David C. Marshall, grandson to Lt. Commander Elliot E. Marshall, K.I.A. with the rest of the 77 man crew of the Capelin (SS-289). 961k Inscription on the bottom of the photo reads "Portsmouth NSY, Officers of Capelin (SS-289), Commissioning 4 June 1943". 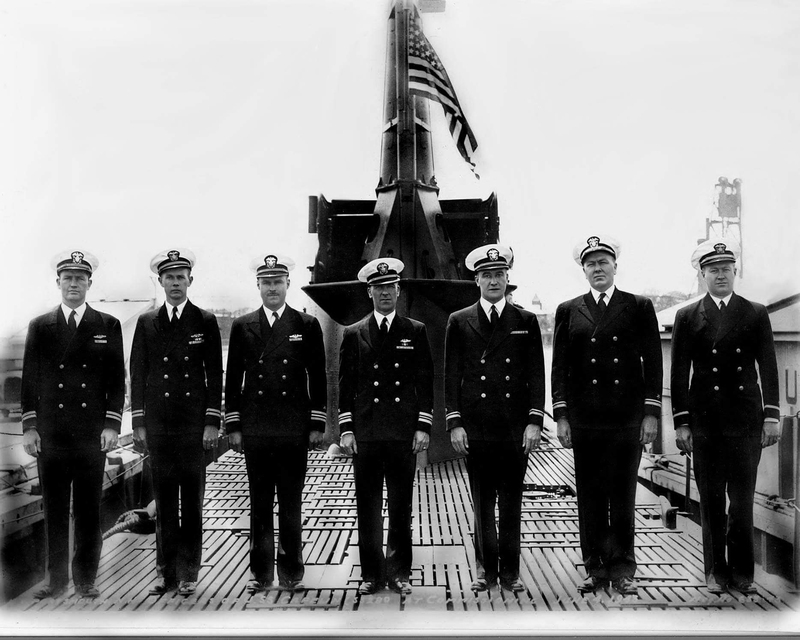 Left to right: Lieutenant William B. Mason, Jr., U.S. Navy, Lieutenant Walter A. Sharar, U.S. Navy, Lieutenant Commander Edward D. Robertson, U. S. Navy; Lt. Commander EE Marshall, Lieutenant Junior Grade Roy C. Uhlman, U.S. Naval Reserve; Lieutenant Junior Grade Clinton S. O'Neil, U.S. Navy; Ensign Richard L. Burton, U.S. Naval Reserve. USN photo # 80-G-71116 by Lt. Comdr. Charles Fenno Jacobs, courtesy of David C. Marshall, grandson to Lt. Commander Elliot E. Marshall, K.I.A. with the rest of the 77 man crew of the Capelin (SS-289). 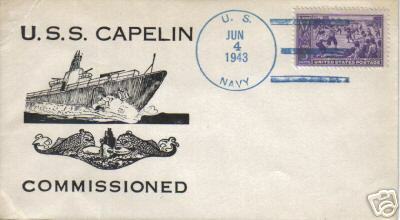 17k Commemorative postal cover issued on the occasion of Capelin's (SS-289) commissioning at Portsmouth Navy Yard, Portsmouth, N.H., 4 June 1943. Courtesy of Jack Treutle (of blessed memory). 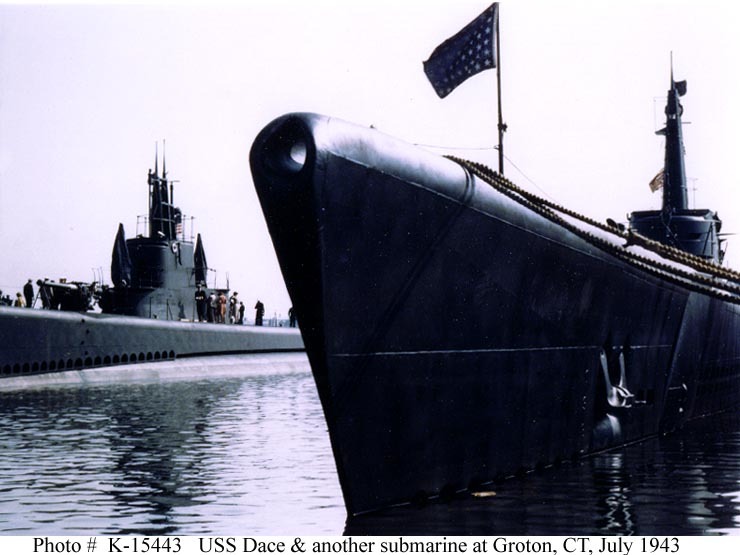 62k Dace (SS-247), at left at the New London submarine base, Groton, Connecticut, on 23 July 1943, the day she was placed in commission. Note women visitors on board Dace, and hull details on the submarine at right, which might be the Capelin (SS-289) which was commissioned on 4 June 1943. The unnamed boat has a port side anchor whereas all the Gato (SS-212) pics show starboard anchor (seems like a clear EB vs Portsmouth differentiation by that point). Since the pic is from New London is it possible a Portsmouth Balao was in port that day? According to DANFS there are several references to these boats departing New London (NL) so they obviously went through there. The first three Portsmouth Balao's were in the Pacific by 23 July 43 [Balao (SS-285), Billfish (SS-286), Bowfin (SS-287)]. Looking at the pictures of Capelin there are a lot of similarities with the railings and lookout perch. Seems Capelin had a unique railing around the forward part of the fairwater in relation to the other early Balao's. Note the stanchion closest to the bridge on the port side from the picture # 80-G-468104 and the same one on the mystery sub. 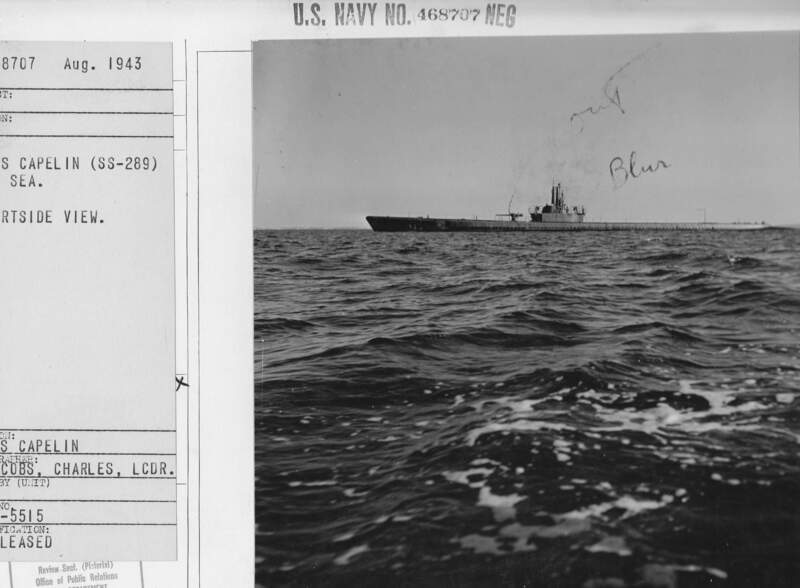 USN photo # 80-G-K-15443, from the collections of the US Naval Historical Center now in the collections of the US National Archives. 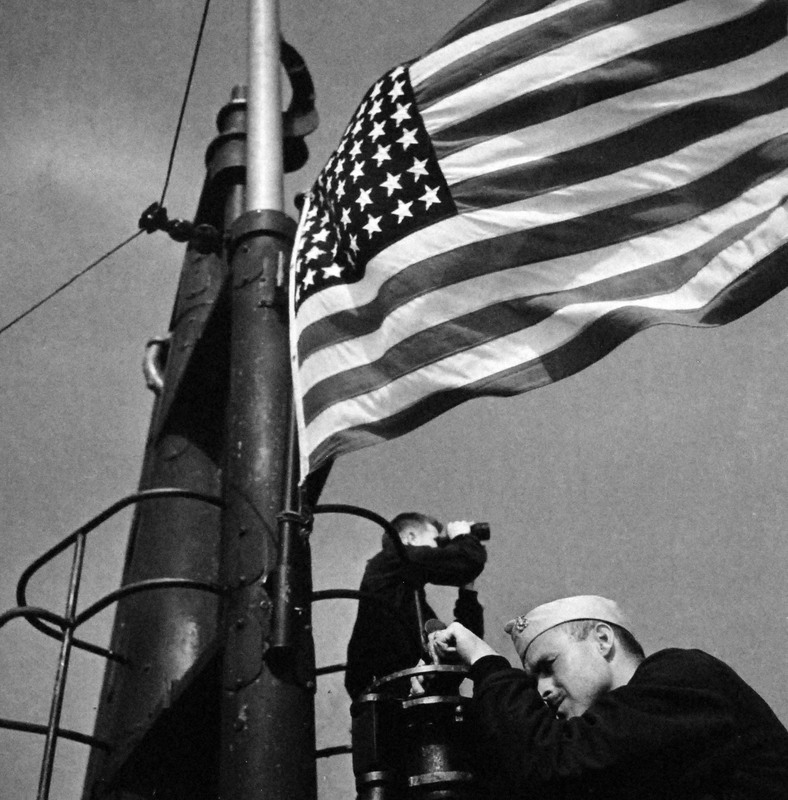 Photographer was probably Commander Edward Steichen, USNR. Photo i.d. & text courtesy of Col. John Hart. 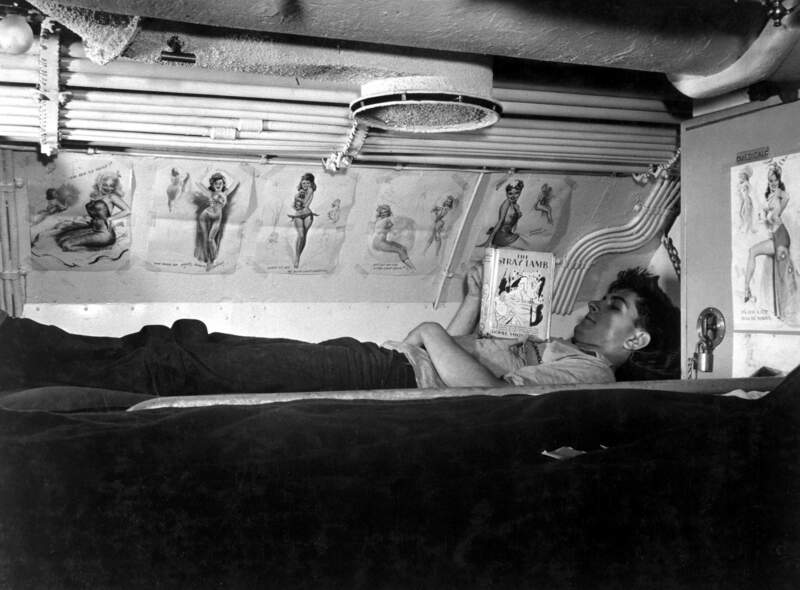 583k Ship's Cook, Second Class Peter Grabnickas reading the thriller "The Stray Lamb" by Thorne Smith in his bunk aboard the Capelin (SS-289) at submarine base New London, Conn. August 1943. He would be lost with the rest of Capelin's crew in five months time. Photo i.d. 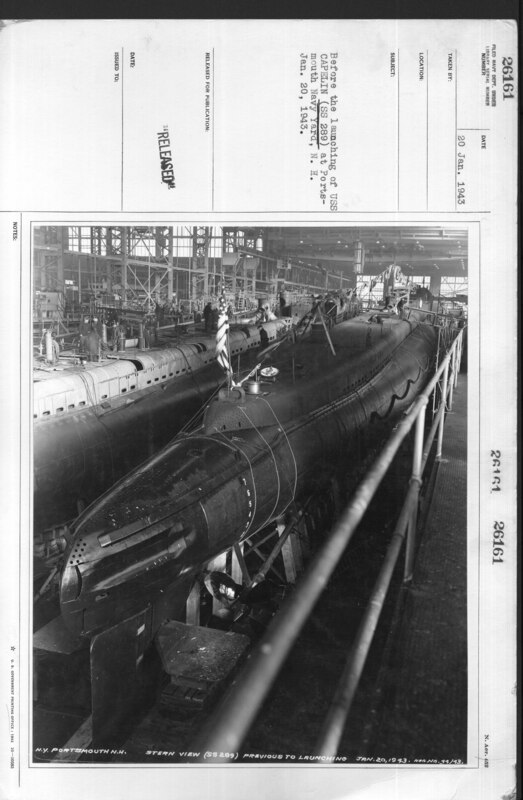 courtesy of Wendy S. Gulley, Archivist, Submarine Force Museum, Naval Submarine Base NLON, Groton, CT.
NARA FILE #: 080-G-468523, photographed by Lt. Comdr. Charles Fenno Jacobs. Photo # HD-SN-99-02537, courtesy of dodmedia.osd.mil, Defense Visual Information Center. 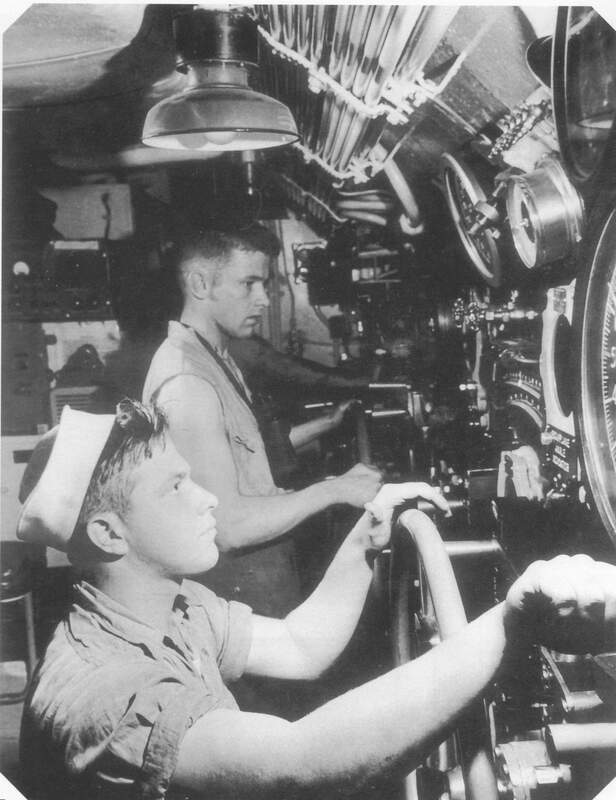 376k A pair of young sailors as they man the controls of the fleet submarine Capelin (SS-289) in August 1943. They are adjusting the diving planes on orders from the captain. They may be Claude William Roberts, Motor Machinist's Mate, First Class, who is seated & Phillip Jearold Gillen, Motor Machinist's Mate, Second Class, standing. 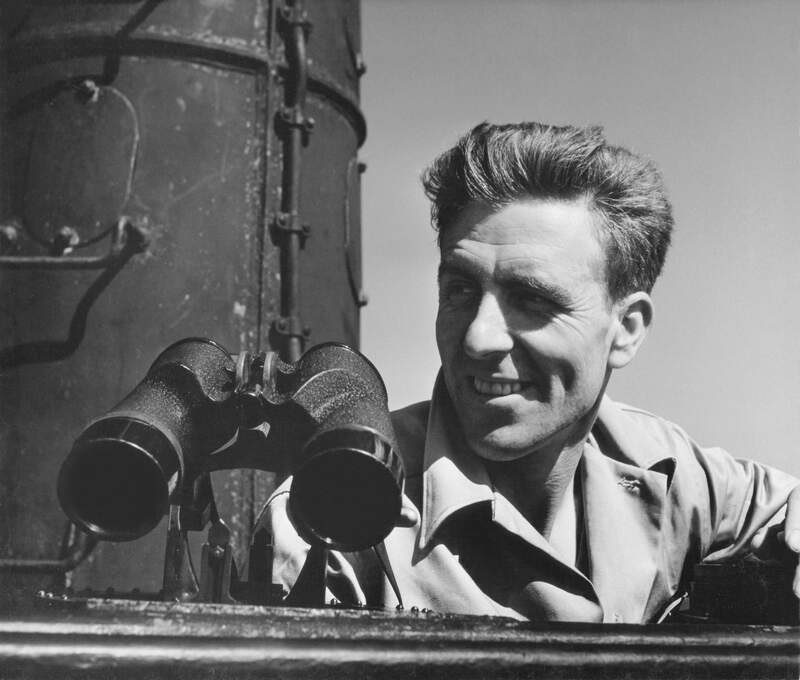 The diving officer seen in this photo that was clipped from the current photo may be William Barton Mason, Jr. U.S. National Archives photo by Lt. Comdr. Charles Fenno Jacobs from An Illustrated History of the United States Navy by Chester G. Hearn & submitted by Robert Hurst. 585k Lt. Commander EE Marshall aboard the Capelin (SS-289). USN photo courtesy of David C. Marshall, grandson to Lt. Commander Elliot E. Marshall, K.I.A. with the rest of the 77 man crew of the Capelin (SS-289). 527k 3/4 starboard view of the Capelin (SS-289) off the Atlantic coast during shakedown, August 1943. USN photo # 80-G-468708 by Lt. Comdr. Charles Fenno Jacobs, from NARA, College Park, Maryland, courtesy of Sean Hert. 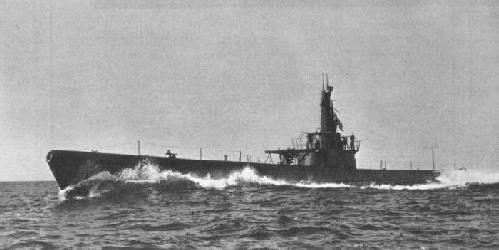 203k Capelin (SS-289), off the Atlantic coast during shakedown, August 1943. National Archives photo # 80-G-468104, by Lt. Comdr. Charles Fenno Jacobs, courtesy of ussubvetsofworldwarii.org. 438k Capelin's (SS-289) bow gun is turned to port off the Atlantic coast during shakedown, August 1943. USN photo # 80-G-468712 by Lt. Comdr. Charles Fenno Jacobs, from NARA, College Park, Maryland, courtesy of Sean Hert. 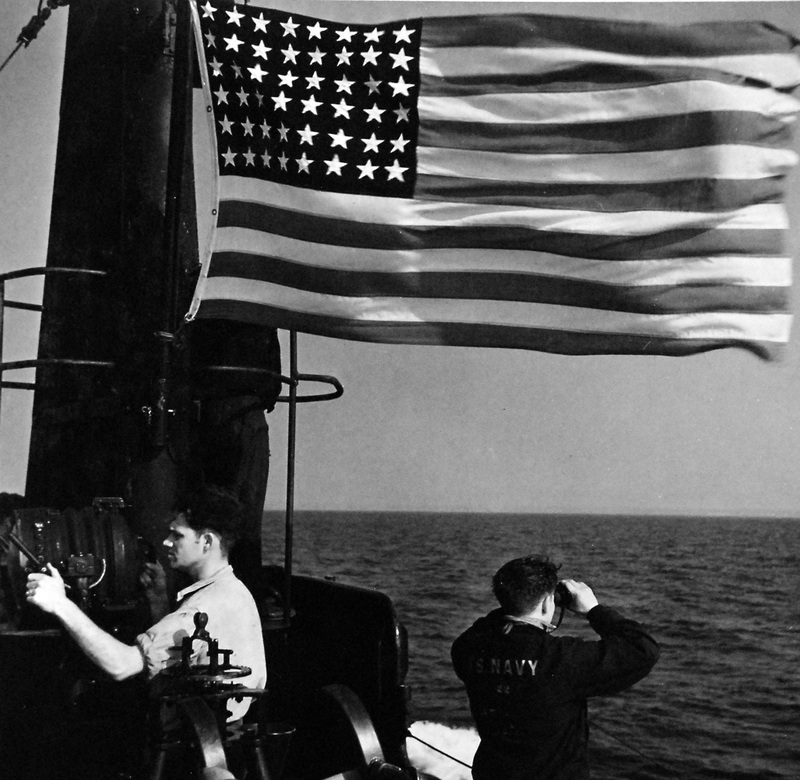 444k A sailor scans the horizon on Capelin's (SS-289) conning tower off the Atlantic coast during shakedown, August 1943. The railing of the photographer's boat appears below. USN photo # 80-G-468713 by Lt. Comdr. Charles Fenno Jacobs, from NARA, College Park, Maryland, courtesy of Sean Hert. 470k Starboard broadside view of the Capelin (SS-289) off the Atlantic coast during shakedown, August 1943. The railing of the photographer's boat appears below. USN photo # 80-G-468714 by Lt. Comdr. Charles Fenno Jacobs, from NARA, College Park, Maryland, courtesy of Sean Hert. 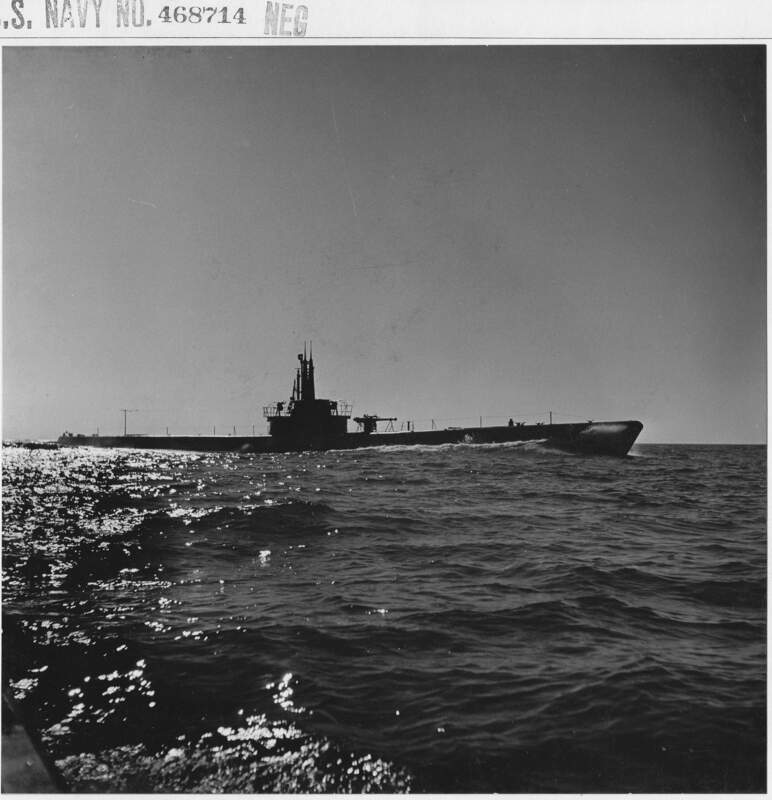 516k Portside view of the Capelin (SS-289) off the Atlantic coast during shakedown, August 1943. USN photo # 80-G-468707 by Lt. Comdr. Charles Fenno Jacobs, from NARA, College Park, Maryland, courtesy of Sean Hert. 388k Broadside view of the Capelin (SS-289) off the Atlantic coast during shakedown, August 1943. USN photo # 80-G-468710 by Lt. Comdr. Charles Fenno Jacobs, from NARA, College Park, Maryland, courtesy of Sean Hert. 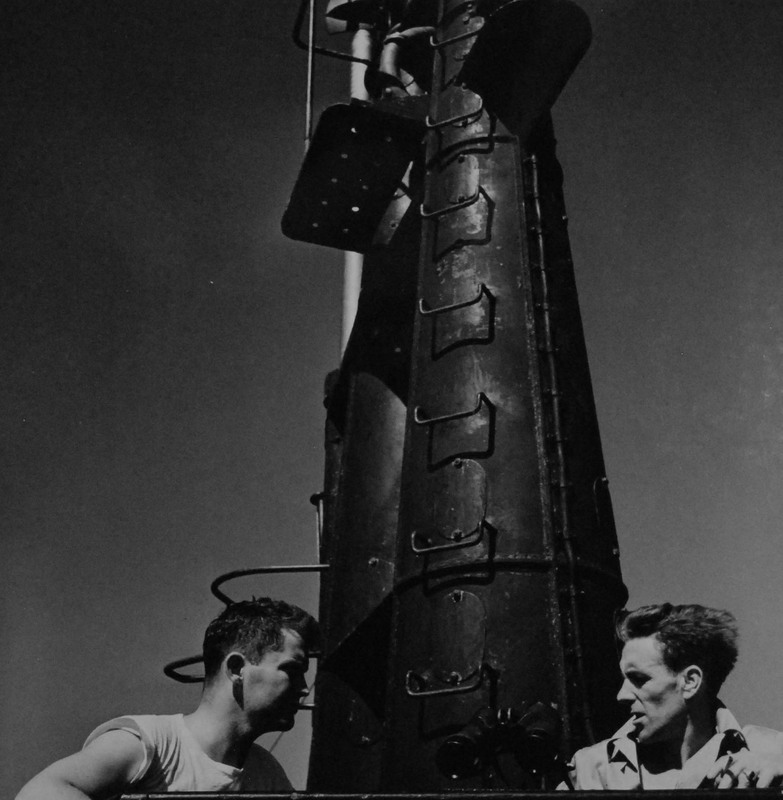 353k A pair of sailors on the conning tower scan the horizon while two others scan into space on the Capelin (SS-289) off the Atlantic coast during shakedown, August 1943. USN photo # 80-G-468711 by Lt. Comdr. Charles Fenno Jacobs, from NARA, College Park, Maryland, courtesy of Sean Hert. 356k Lieutenant Commander E.E. Marshall, right, on bridge of Capelin (SS-289), with Third Officer, Lieutenant William B. Mason, Jr.,(I believe), August 1943. Photo 80-G-468705 courtesy of NARA via Rob Hanshew and Tracy White @ Researcher @ Large. 586k Second Officer Lt. Comdr. 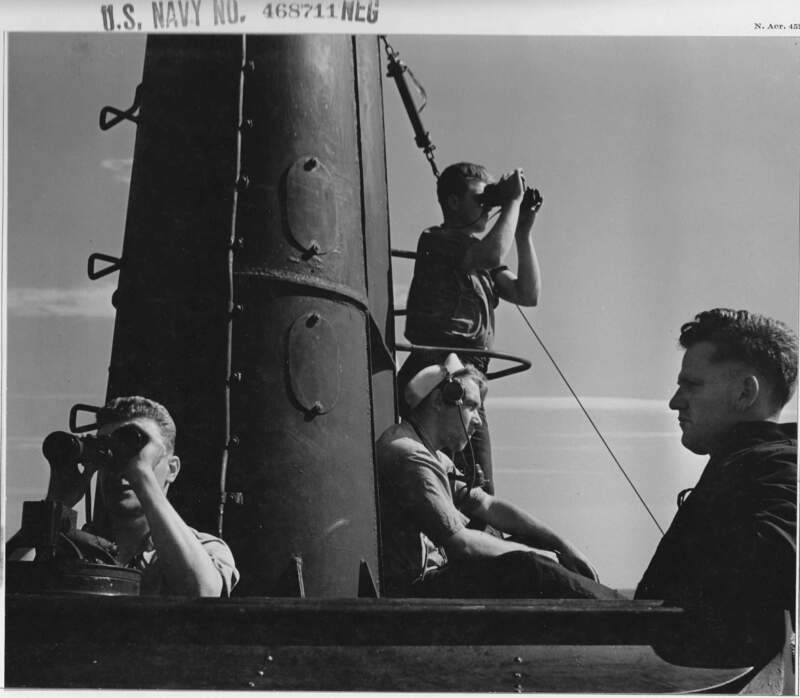 Edward Dunbar Robertson, USN, takes bearings while Lookout stands watch on board Capelin (SS-289). 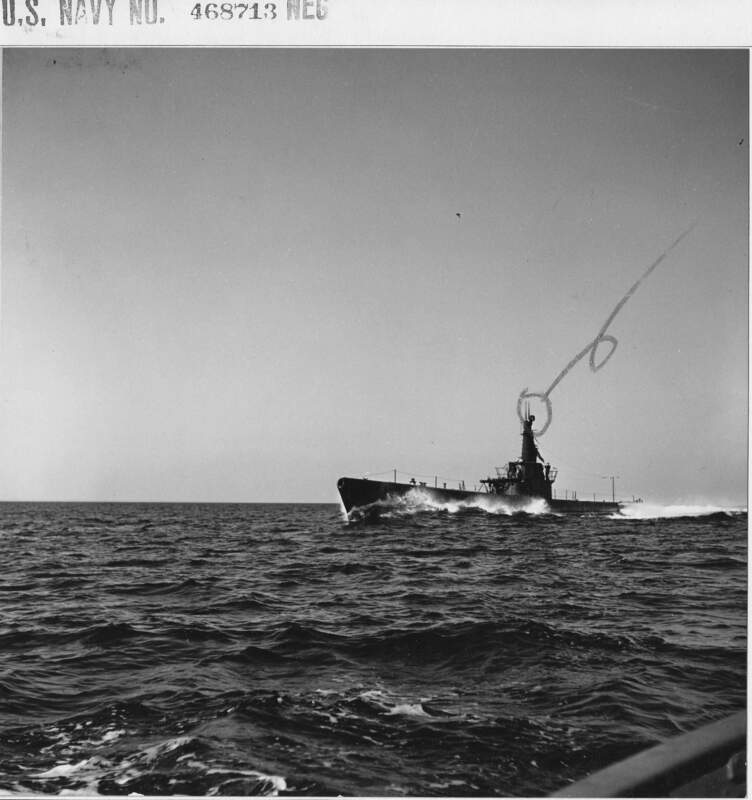 Photographed by Lieutenant Commander Charles Jacobs, August 1943. Photo 80-G-468709 courtesy of NARA via Rob Hanshew and Tracy White @ Researcher @ Large. 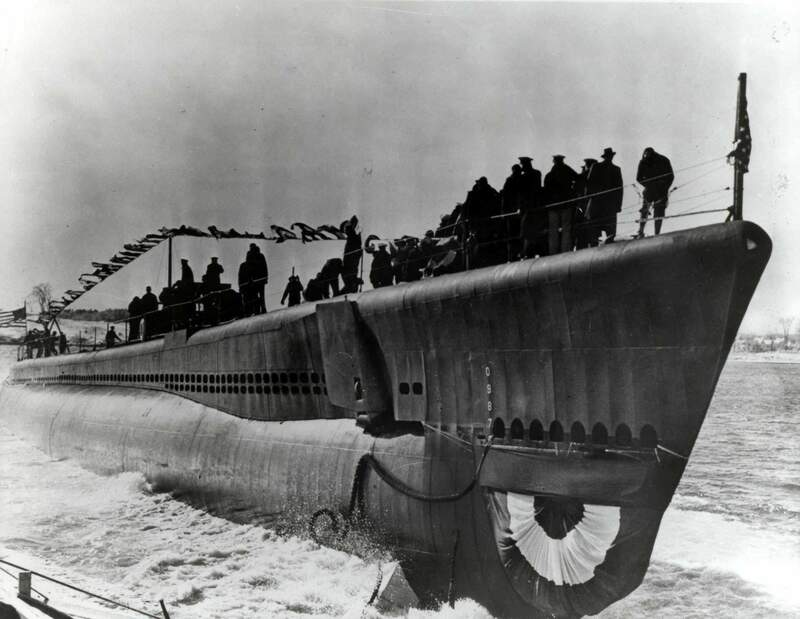 1.26k On board Capelin (SS-289) at sea, 15 September 1943. Shown: signalman and lookout. USN photo # 80-G-468329, photographed by Lieutenant Commander Charles Fenno Jacobs, now in the collections of the National Archives via National Museum of the U.S. Navy via flickr.com. Comdr. Elliott E. Marshall of Portland, Me., commander of the Capelin (SS-289), one of two submarines reported lost by the Navy yesterday. (Story on Page A-l) A. P. Wirephoto. Photo from Evening Star. [volume] (Washington, D.C.) 1854-1972, 19 March 1944, Image 12, via chroniclingamerica.loc.gov. 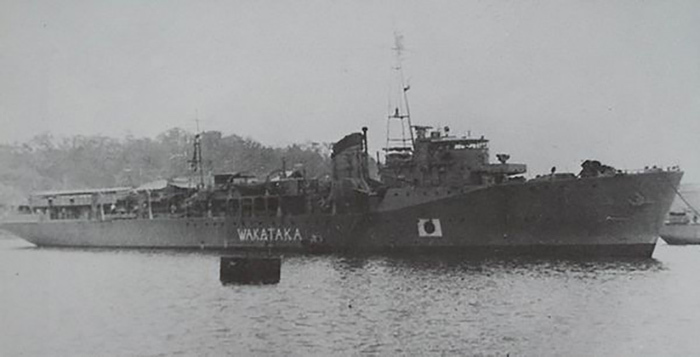 82k Pictured here is a 1947 photo of the Japanese Minelayer Wanatake which may have been involved in sinking the Capelin (SS-289) according to Submarines Lost Through Enemy Action Photo courtesy of wikipedia.org. 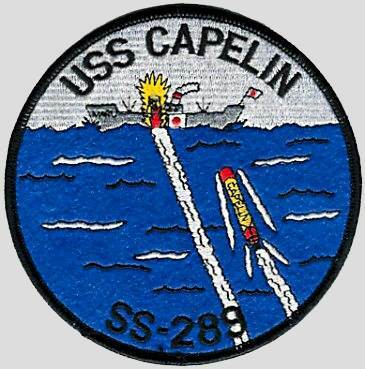 491k Possible summation of Capelin's (SS-289) loss. PDF compiled by Kiyotaka Asano. 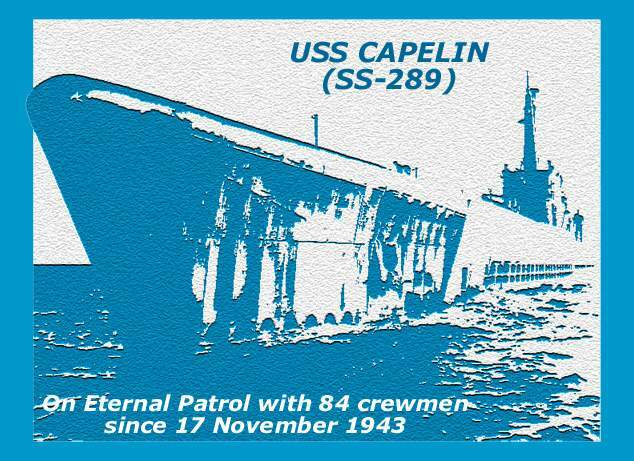 67k Commemorative photo in honor of the memory of the crew of the Capelin (SS-289). Photo courtesy of Tom Kermen. Dante's Prayer courtesy of Loreena McKennitt via quinlanroad.com. 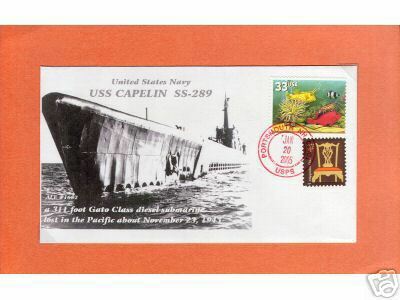 24k Commemorative postal cover issued on the occasion of the Capelin's (SS-289) Jubilee commissioning, June 1993. Courtesy of Jack Treutle (of blessed memory). 44k A street named for George R. Melvin of the Capelin (SS-289), on Eternal Patrol, December 1943. 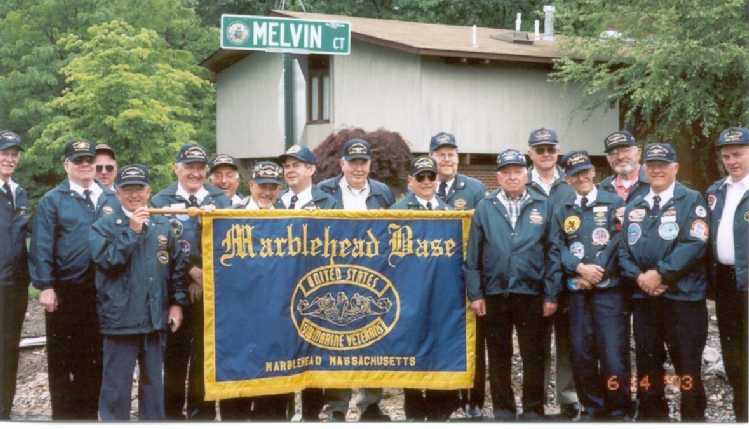 MARBLEHEAD BASE USSVI conducted the dedication ceremony of Melvin Court on 14 June 2003. 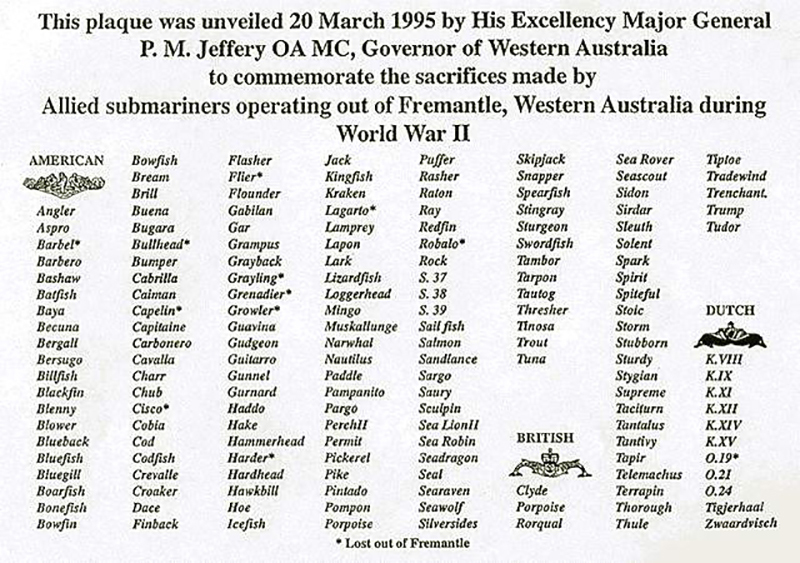 Courtesy of ussvi.org. 92k Lt. Comdr. 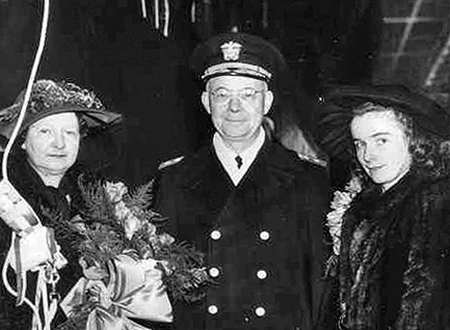 Edward Dunbar Robertson, USN, Capelin's (SS-289) Executive Officer at the time of her loss. Ed was class of 1935. He was strong on English and had trouble with Math -- walked many a weekend with "Miss Springfield" because he hit the math "tree". - Later information: Dated and married my mother (his high school sweetheart) the whole time he was at Annapolis. 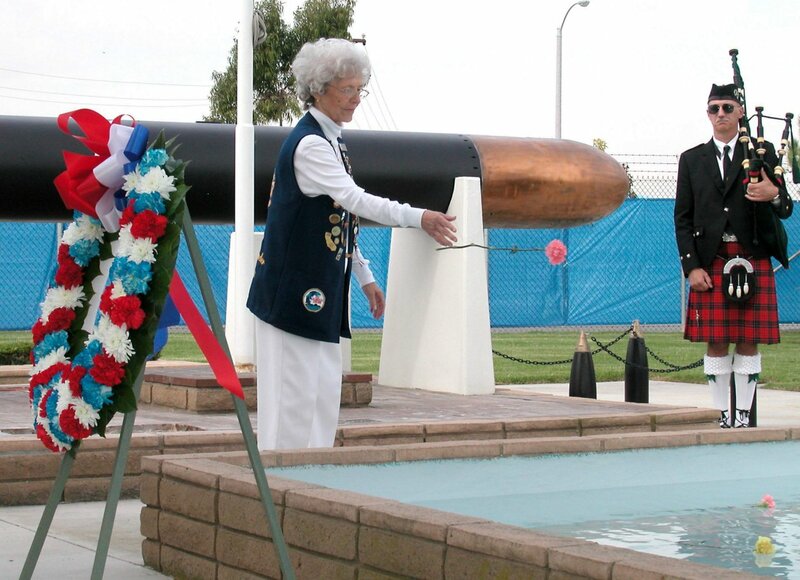 They were married in San Diego in 1937 because that was where he was stationed when the two year from graduation waiting period was up. They were stationed in San Diego, Panama, Honolulu, Philadelphia, New London and Kittery. He served on the battleship Mississippi (BB-41), the destroyer Williamson (DD-244), and the cruiser Milwaukee (CL-5) before entering submarine service in 1941. After a year in the Atlantic theater he was made executive officer of the submarine Capelin. He smoked a pipe. He was clean-shaven until he returned with a moustache after a cruise and my mother insisted he keep it. He has two children, Meredith Robertson Heinecke & Edward (Ned) Dunbar Robertson, Jr. He has five grandchildren (EDR,III, Megan, John Heinecke, Laura Heinecke Green and Matthew Heinecke) and seven great grandchildren with two more on the way. His dress sword was used at Meredith's wedding, my wedding and Megan's wedding to cut the cake. USN photo courtesy of Megan Robertson Lowden & Edward (Ned) Dunbar Robertson, Jr., Meredith Robertson Heinecke & Walt Heinecke, grand daughter, son & daughter of Lt. Comdr. Edward Dunbar Robertson, USN, K.I.A. with the rest of the 77 man crew of the Capelin (SS-289). Text courtesy of Edward (Ned) Dunbar Robertson, Jr. & Meredith Robertson Heinecke. 113k Painting entitled Homeward Bound by the artist E.V. 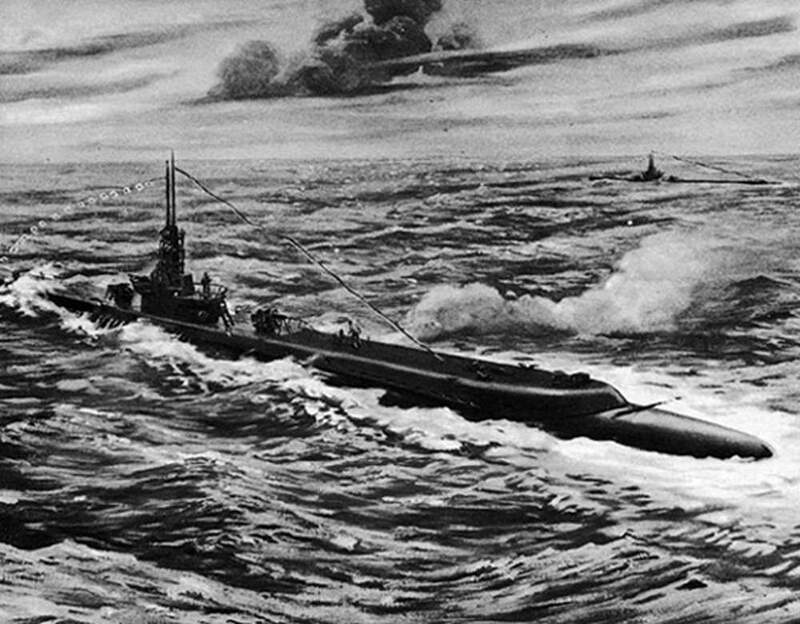 Vandos, depicting Capelin (SS-289) on her homeward bound voyage to eternal patrol. 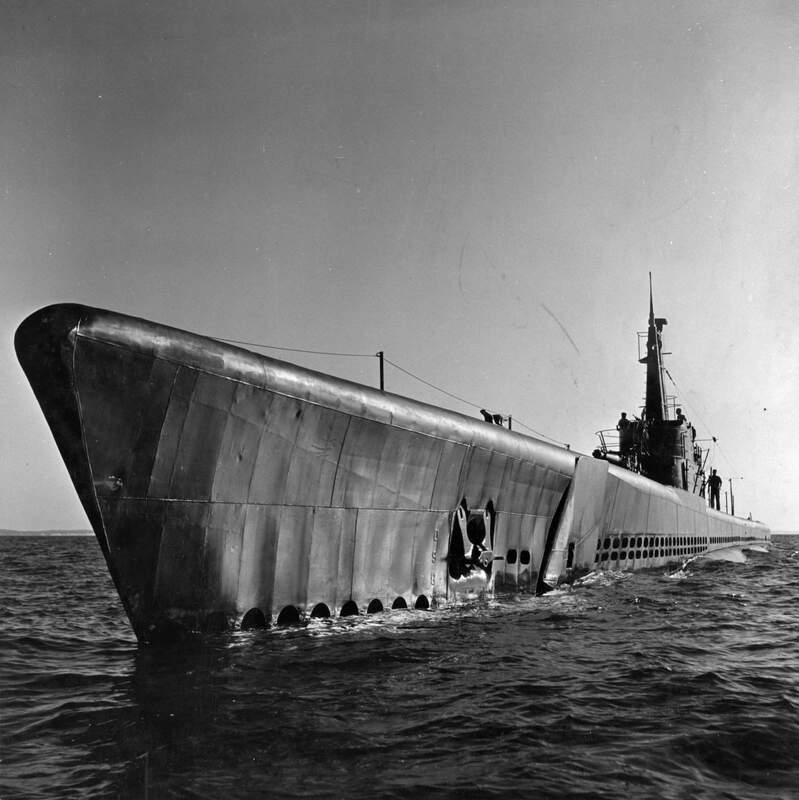 The other submarine might be the Bonefish (SS-223) which would join her on eternal patrol on 18 June 1945. Nothing has been positively heard from Capelin since she departed. 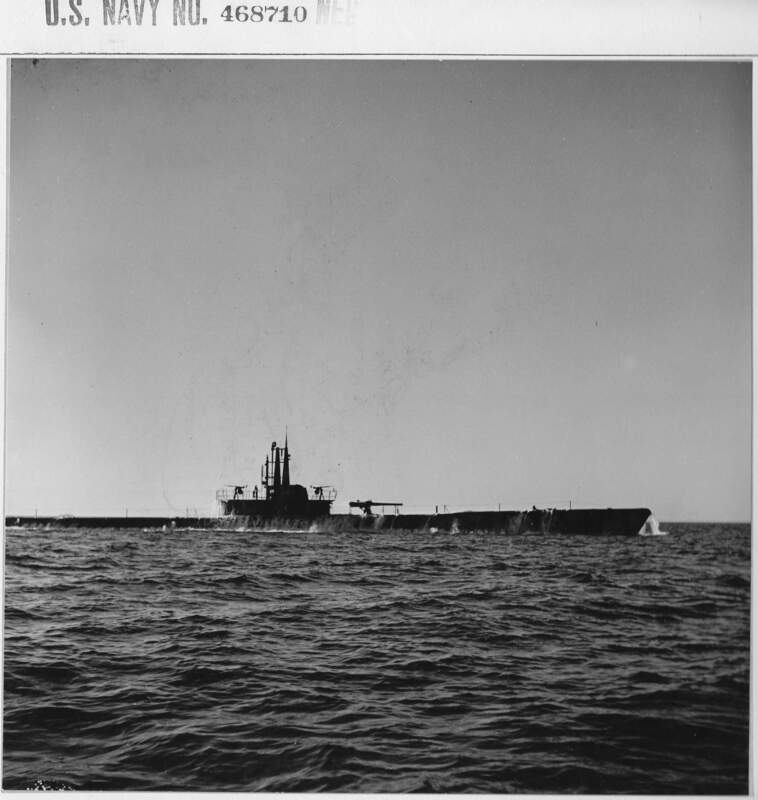 However, Bonefish reported having seen a U.S. submarine at 1�-14'N, 123�-50'E on 2 December 1943. 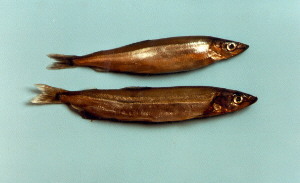 This position is in the area assigned to Capelin at this time. An attempt to reach Capelin by radio, on 9 December 1943, elicited no response. 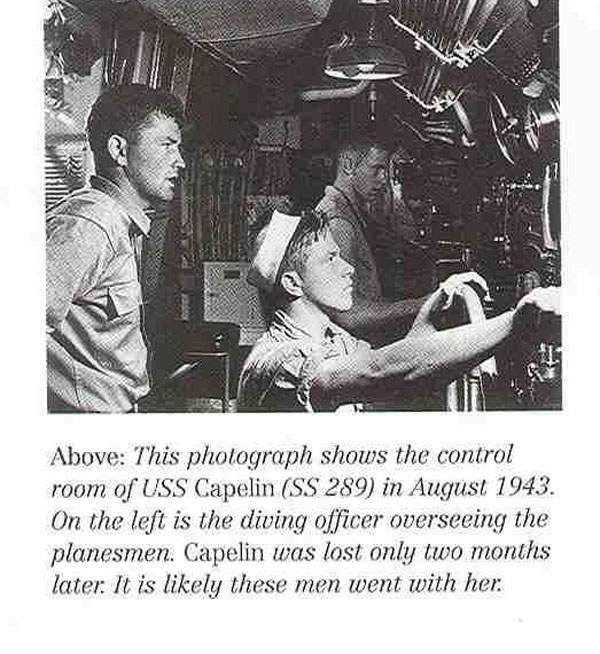 Photo & text courtesy of history.navy.mil. 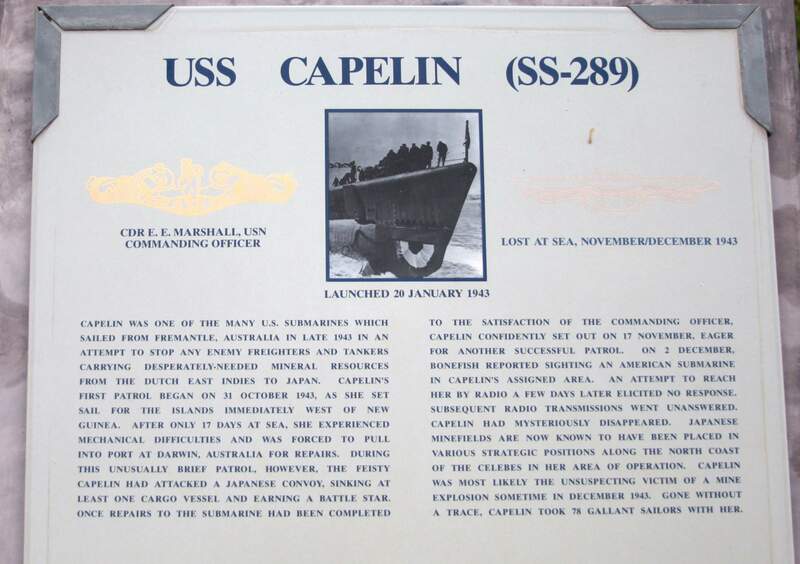 330k Capelin (SS-289) Plaque, Submarine Memorial at Pearl Harbor, Oahu Hawaii. Photo courtesy of David Barber via National Museum of the U.S. Navy via flickr.com. 53k Google Earth satellite photo of the general area Capelin (SS-289) is assumed to have been lost. "When the waves of death compassed me / the floods of ungodly men made me afraid; / the bonds of She'ol encircled me; / the snares of death took me by surprise; / in my distress I called upon the Lord, / and cried to my G-D: / and he heard my voice out of his temple, / and my cry entered into his ears. / Then the earth shook and trembled; /the foundations of heaven moved / and shook because of his anger /...the heavy mass of waters, and thick clouds of the skies /... And the channels of the sea appeared, / the foundations of the world were laid bare, / at the rebuking of the Lord, at the blast at the breath of his nostrils. / He sent from above, he took me; / he drew me out of many waters; / he delivered me from my strong enemy, and from those who hated me; for they were too strong for me. / They surprised me in the day of my calamity: / but the Lord was my stay / He brought me forth also into a large place: / he delivered me because he delighted in me./" View courtesy of Google Earth.